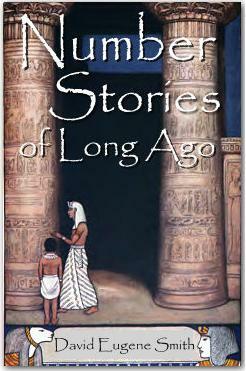 If you missed Number Stories of Long Ago last time, it is available as a free downloadable pdf file at the Homeschool Freebie of the Day Labor Day Weekend/End of Summer Bash. This offer should work for those who live outside the U.S. and were unable to read the Google Books file. The offer is only good “until Monday night” — and I don’t know which time zone they’re in. In the treasure-hunting game of Geocaching (pronounced “geo-cashing”), players use GPS systems to locate boxes hidden at different geographical locations across the country. Now, the creative people at Mathbits.com have come up with an online treasure-hunting activity for junior high and high school students, called MathCaching. Students solve mathematical problems to find hidden “boxes” on the Internet. Each box reveals clues to the location of the next one. The MathCaching game covers pre-algebra through trigonometry topics, with calculus levels under development. For more information, visit the MathCaching site, or read the post on my Frugal Homeschooling blog. Maybe it’s because school is out for the summer, but there don’t seem to be all that many Olympics-related math resources on the Web. I did find one cool game, however, and a nice stack of word problems. I hope you enjoy them! Update: Be sure to see my blog post Olympic Logic for more links and puzzles!